After having felt the need to be able to post shorter and less ambitious posts, I’ve decided to open a Tumblr account. There I’ll be posting short thoughts and ideas about coffee as well as pictures and stuff that pops into my head. The kind of posts that needs less work to put up. 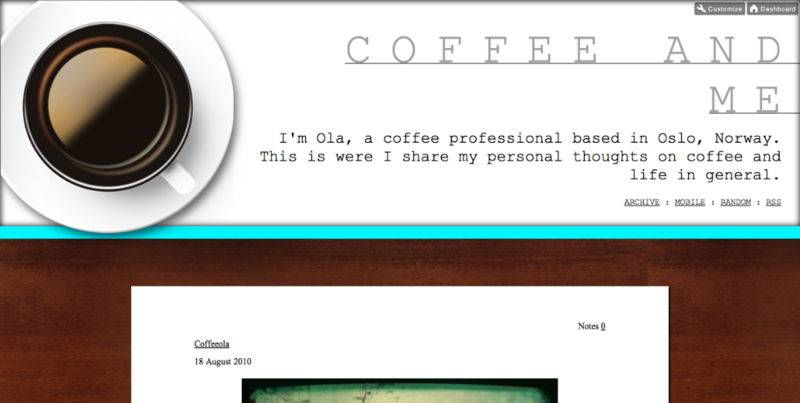 If that sounds like the kind of thing you’d like to read, pop by http://coffeeola.tumblr.com/ and have a look. Maybe you should try both…interesting idea though.